Saint Mark’s, Jerusalem, 135 is dated Feb 1901 AG (= 1590 CE) and contains a copy of Bar ʿEbrāyā’s Candelabrum of the Sanctuary (Mnārat Qudšē). It was copied at Dayr Al-Zaʿfarān by Behnām b. Šemʿon b. Ḥabbib of Arbo. From a much later note immediately after the colophon we learn that this scribe was made metropolitan of Jerusalem in 1901 AG and died in 1925 AG. Who wrote this later note? None other than Ignatius Afram Barsoum (1887-1957; see GEDSH, 62, including a photo). On the following page, there are three more notes by Barsoum, all autobiographical. Notes by Barsoum at the end of SMMJ 135. In the year 1913 AD I visited the tomb of the savior and I spent two months in our monastery, that of Saint Mark, while I — the weakest of monks and the least of priests, Afram Barsoum of Mosul, alumnus of the Monastery Mār Ḥnānyā [Dayr Al-Zaʿfarān] — was using the old books [there]. Please pray for me! In the year 1918 AD, on the 20th of Iyyār, I was elected metropolitan of the diocese of Syria, Damascus, Ḥoms, and their environs, and I was named Severius Afram. In the year 1922 AD I again returned to Jerusalem and I took part in the consecration of the myron with Patriarch Eliya III on the 18th of Ēlul. Notes like this are important for at least two reasons. First, they remind us that books have had their readers throughout their individual histories, that is, we are usually not the first readers since the time of the author or scribe to examine and study a book; rather, readers make contact with, or meet, books here and there along the way, with ourselves just one node in that continuum, and some of those readers leave their marks, wittingly or not, in the books. 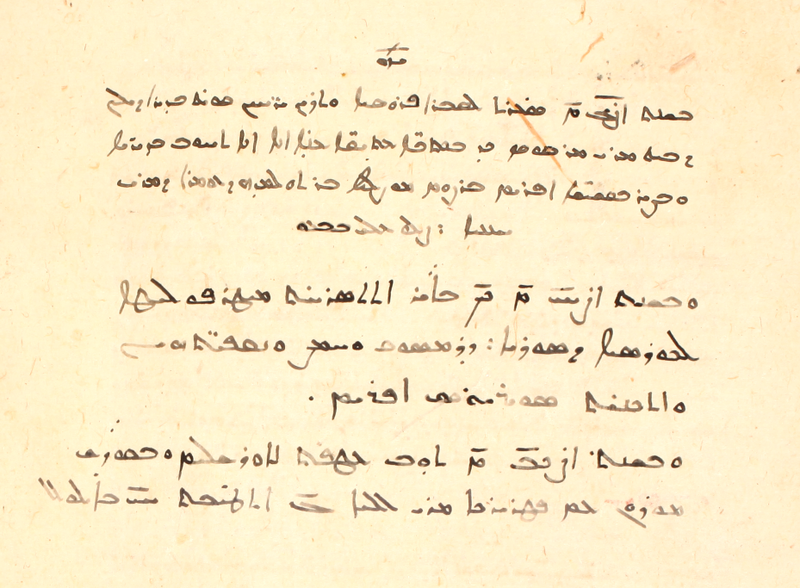 Second, these notes are a kind of archival document, in this case for the future patriarch Barsoum and for some goings-on in Syriac Orthodox circles in the first quarter of the twentieth century, and anyone studying the region in this time period might find something of interest here and in similar places. Once again, we see manuscripts as unique objects with unexpected finds!